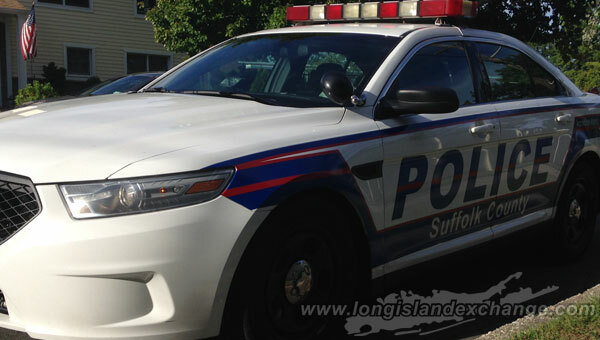 (Long Island, NY) Suffolk County Police Second Squad detectives are investigating a motor vehicle crash that seriously injured a pedestrian in Huntington Station on Monday, October 26. Anael Santiago, of Huntington Station, was walking across New York Avenue near Depot Road at 10:25 p.m. when he was struck by a 2010 Toyota Camry that was traveling northbound on New York Avenue. Suffolk County Police are investigating a motor vehicle crash that seriously injured a pedestrian in Huntington Station on Monday, October 26. Photo Credit: Chris Boyle. Santago, 29, was transported by ambulance to Huntington Hospital where he is being treated for serious injuries. The driver of the Toyota Marie Cantave, 53, of Huntington Station, was not injured in the crash.